Two-Legged Kitty Doesn’t Like His Tiny Wheelchair, So This Happens Instead… OMG, It’s Genius!! This special kitten named Cassidy was rescued from a feral cat colony as a baby. He was found with both back legs missing and was starving to death. He almost didn’t make it, but caring humans helped him recover to full health. 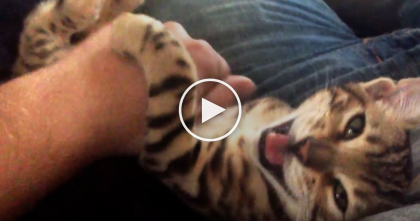 What an amazing kitty, this is the best idea EVER—Share this video with your friends! Facebook: BEST. IDEA. EVER. / This is the best thing I’ve seen all day! 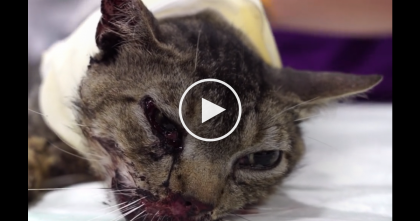 Poor Traumatized Kitty Cat Nearly Dies From Horrible Accident…Now KEEP Watching Till The End, Amazing!! 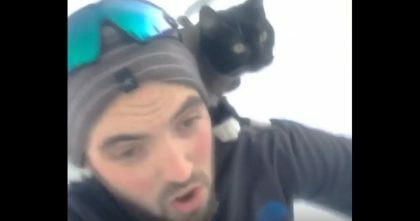 He Put His Cat On His Shoulders, But Watch What He Does Next… Oh My Goodness, Hahaha!! 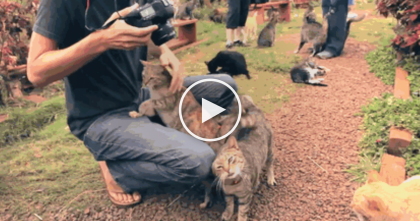 You Can Cuddle 500 Cats At This Wonderful Place… It’s A True “Kitty Paradise”, You’ll Just LOVE It!